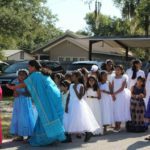 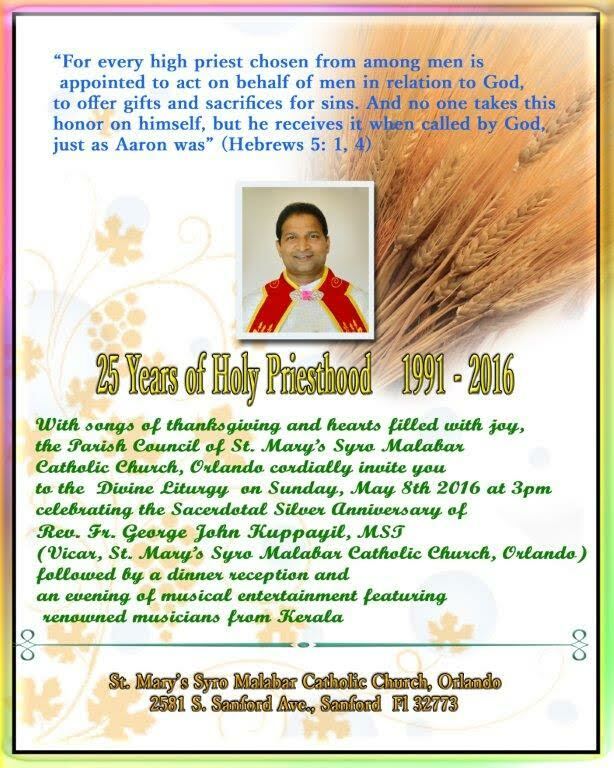 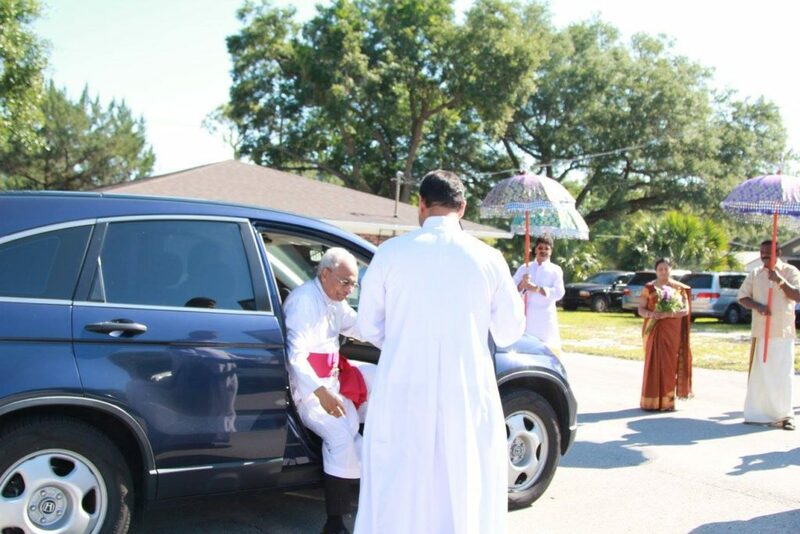 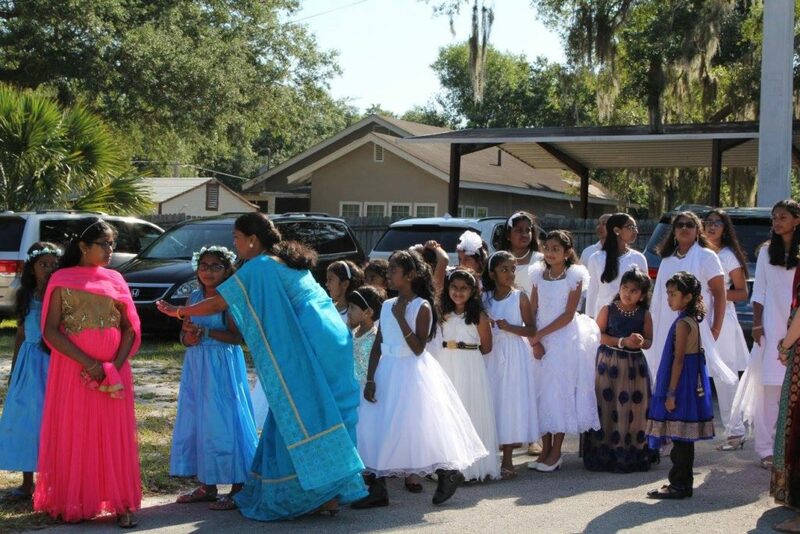 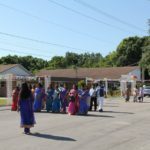 With Songs of thanksgiving and hearts filled with Joy, the parish council of St.Mary’s Syro Malabar Catholic Church Orlando, cordially invite you to the sacerdotal Silver Anniversary Celebrations of Fr.George Kuppayil on 08-MAY-2016,Sunday. 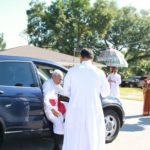 03:00 PM Divine Liturgy (Solemn Holy Mass). 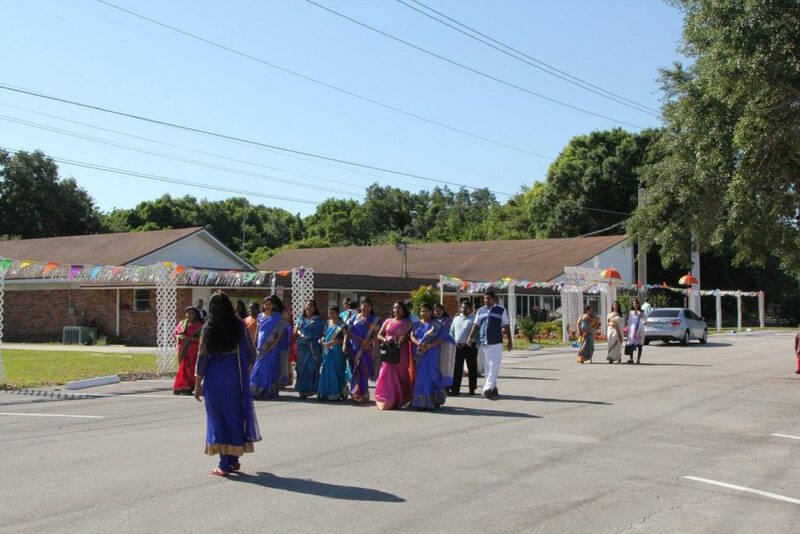 06:30 Musical Entertainment by Renowned Singer Franco and Team(from Kerala). 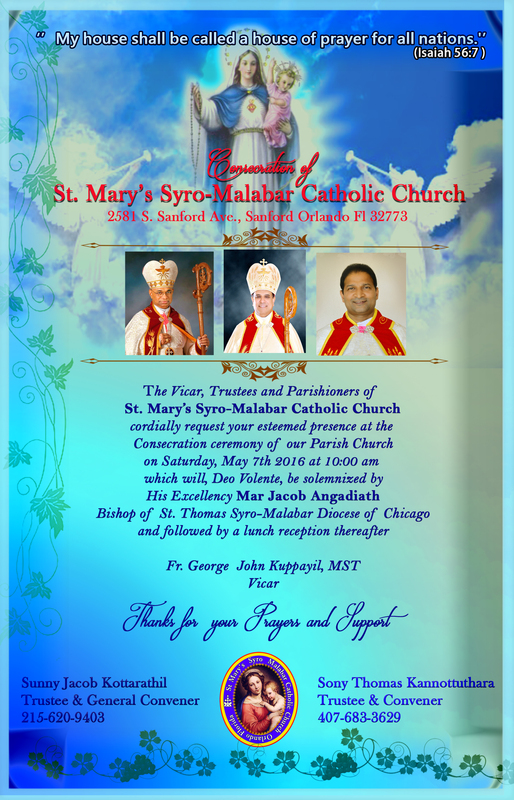 The Vicar, Trustees, and Parishioners of St.Mary’s Syro-Malabar Catholic Church cordially request your esteemed presence at the Consecration Ceremony of our Parish Church on Saturday, May 7th, 2016 at 10:00 am which will, Deo Volente, be solemnized by His Excellency Mar Jacob Angadiath Bishop of St.Thomas Syro-Malabar Diocse of Chicago and followed by a lunch reception thereafter.